Spotted! 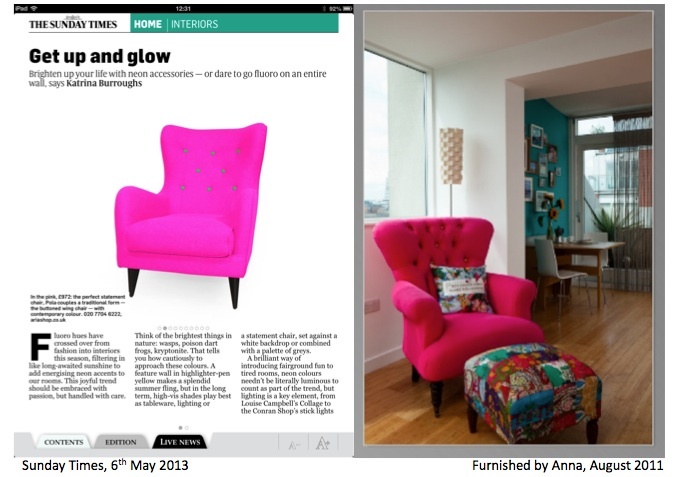 Lounging around with the sunday papers, this bright pink chair in the Sunday Times magazine caught my eye as it’s so similar to one I designed for my own home back in 2011. Neon is a fantastic way to add a real zing of colour to your interiors. Whether on a statement chair or just a set of cushions, bold neon colours instantly brighten up the room and add instant style kudos too!